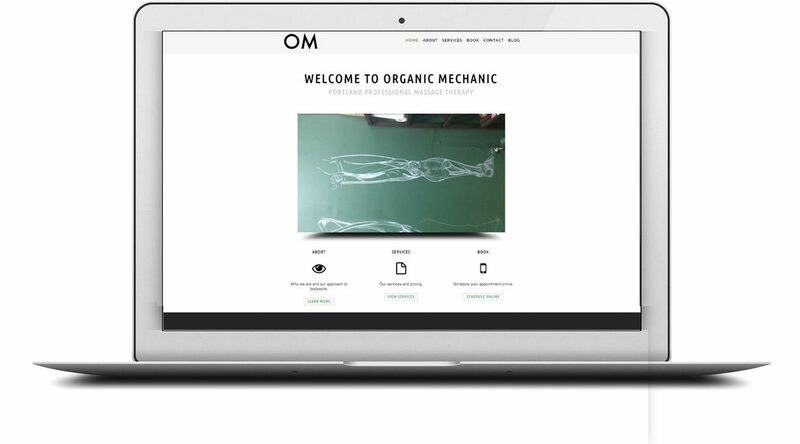 Organic Mechanic is a massage therapy studio in Portland. Organic Mechanic a small couple-owned business with a focus on sports massage therapy and accidental massage therapy. Before our services, this business had no web presence. We researched the business and found core tenets of their messages to be tranquility, education, and openness. By using “OM” in their iconography, which are the initials for Organic Mechanic, coincidentally we found that that “OM” also a sound for meditating in the Hindu, Buddhism, and Jainism religion.